Rakuten and Walmart take aim at Amazon, with alliance for groceries and e-books in Japan and U.S.
E-commerce giant Rakuten and retail behemoth Walmart are taking aim at Amazon in a partnership that will see the two companies launch an online grocery delivery service in Japan while offering e-readers, e-books and audiobooks to American Walmart customers. The move, announced Friday, will see Rakuten Inc. team up with Wal-Mart Stores Inc. subsidiary and supermarket chain Seiyu GK. The joint venture will replace and expand Walmart’s existing grocery delivery service with an operation called Rakuten Seiyu Netsuper. The service, with a planned launch in the latter half of this year, will allow customers to place orders on Rakuten’s online marketplace. The venture will open a warehouse to handle orders in addition to using existing Seiyu stores. The collaboration will also allow Walmart to take direct aim at Amazon.com Inc.’s Kindle by bringing Rakuten-owned Kobo’s e-reader to its U.S. stores, along with a catalog of nearly 6 million e-book and audiobook titles to Walmart.com customers. 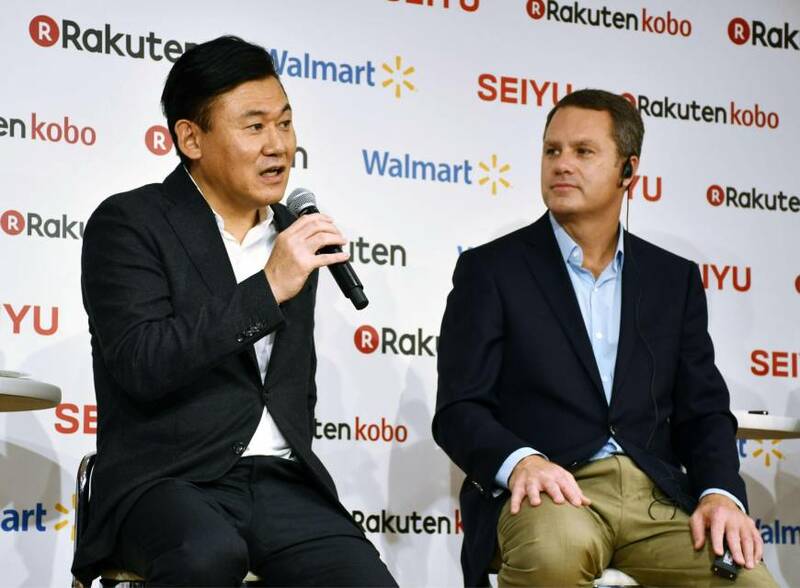 “I believe this will be a globally unprecedented, powerful alliance,” Rakuten’s billionaire founder and Chief Executive Officer Hiroshi Mikitani said at the company’s Tokyo headquarters, accompanied by Walmart CEO Doug McMillon. Amazon’s Japan unit launched a fresh food delivery service last year — its third country after the U.S. and Britain — offering over 100,000 food items to its “Amazon Prime” members in some areas in Tokyo. Walmart has also been stepping up its efforts in the online shopping marketplace. In the U.S., it teamed up with Alphabet Inc.’s Google last year to let shoppers order by voice via Google Home smart speakers, while working with ride-hailing firms like Uber Technologies Inc. to test grocery delivery services in some cities. “Rakuten and Seiyu’s strong name recognition could be an advantage in Japan,” said Hitoshi Sato, a senior analyst at InfoCom Research. 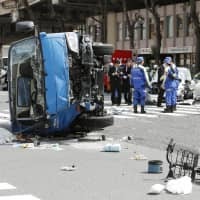 He said various online grocery delivery services are already offered in the nation, and that Rakuten and Seiyu’s entry could accelerate the trend of buying food online. Seven & i Holdings Co., Japan’s largest operator of convenience stores, for example, announced a partnership last year with Askul Corp. to start a fresh food delivery service. Rakuten is a household name in Japan, with 93 million registered members using its marketplace. It also operates a platform that offers myriad services from banking to travel. Seiyu, founded in 1963, is one of the largest supermarket chains in the nation with around 340 stores. Walmart began investing in Seiyu in 2002 and acquired a majority interest in 2005, making it a subsidiary. 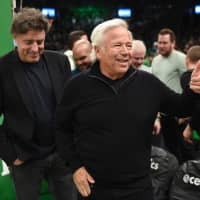 Besides offering fresh produce and daily products, the companies said the new service plans to offer convenience-focused items like cut vegetables, partially-prepared foods and meal kits. 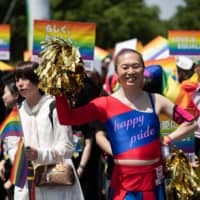 Sato, however, expressed doubt when it came to Kobo’s chances of success in the U.S.
Rakuten says Kobo, a Canadian online bookseller it acquired in 2011, serves millions of customers in 190 countries. But so far it remains a small player in an American market dominated by Amazon’s Kindle. “I don’t think I’ve ever seen an American use a Kobo e-reader. I’m not sure how Kobo will fare in the U.S.,” Sato said. 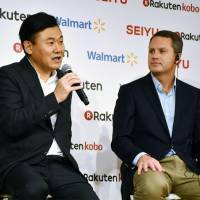 Rakuten and Walmart said all e-book content will be accessible through a co-branded application available on iOS and Android devices, as well as a desktop app and on Kobo e-readers.